Online Tuition for Physics Class 10 CBSE is available through home tutor mode. Tutormine, one of the best online tuitoring platforms, offers eminient tutors for live interactive one-to-one online tuition for all subjects right at the home of students. Having rich experience with Mathematics for plus Two and Engineering level. Passionate about teaching. Have excellent command over few areas of Physicswhich includes Semiconductors, Electromagnetics, Electrostatics, Magnetostatics, Cellular Communication, Digital Electronics. I am 2 times GATE Qualified. I am also having interestsfor Enginnering subjects - Network Analysis and Synthesis, Electronic Devices, Analog and Digital Electronics, Electromagnetics, Analog and Digital Communication, Signals and Systems, Digital Signal Processing, Wireless Communications. Teaching for me is a real passion, hence I do it after my official working hours. 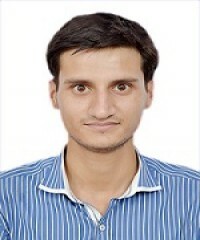 I am working as a RF NPOEngineer in a Service Provider Company in Gurgaon, India. 1. Scored 82% in PCM with 88 out of 100 Marks in Mathematics in plus two. 2. Scored 80% in National Mathematics Olampiad at 11th. 3. Graduated in B.Tech with Honors.